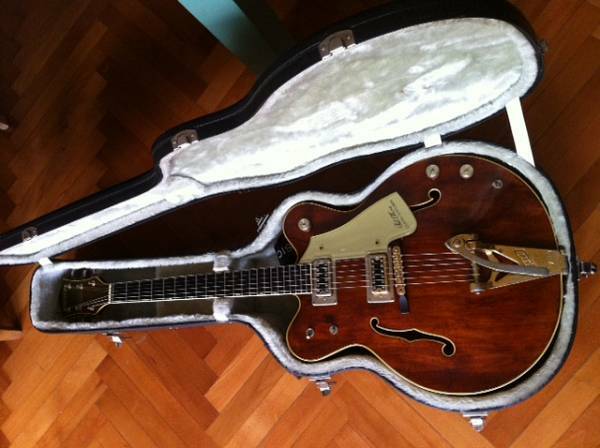 Been looking for a vintage Gretsch for ages, found a nice Gentleman on the 'Italian craigslist' mercatinomusicale. Would maybe need to sell my acoustic to have enough cash for it, but I'm playing acoustic guitar quite rarely nowadays. 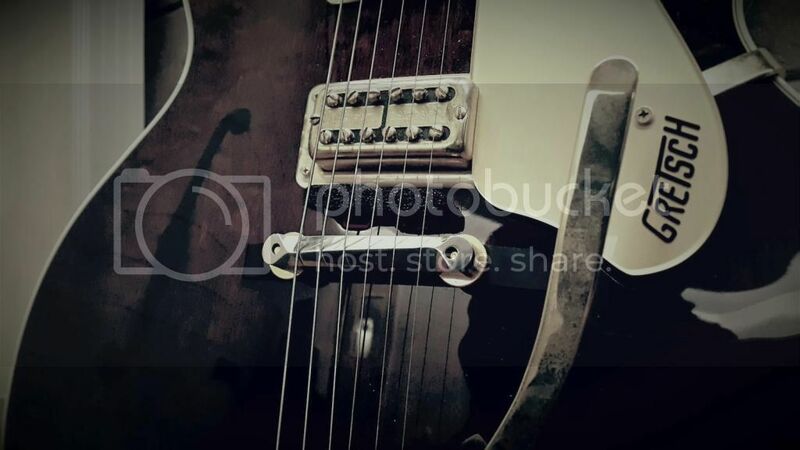 Anybody here have experience with old Gretsches? I played a RI Country Gentleman, loved the sound, but these Japan RIs are more expensive than some of the vintage ones. From what I've heard they're not that bad. I'd go for it. Had the privilege of playing 50'some era country gent several years back. Not for very long, mind you... just strummed a few chords unplugged. I remember it sounding nice but feeling wonderful. Of course, that could have just been cos the thing was worth more than my car. A lot of 1970's Gretsches are okay, although Baldwin took designs and updates of 1960's models in kinda weird directions. I also had possession of a friend's '66 G6120DC for several weeks and despite the charm (Don Peris' tones with Innoncence Mission on his G6120 DC are what I tried to cop) I found it to feel like it was near-ready to fall apart, with everything wanting to buzz at me and screws needing to be tightened every now and then. I loved the tone and body resonance, but by no means would want to own it. Conversely, Japanese Gretsches on both sides of the 2003 switch-over to Fender are good stuff. When they can be found on the cheap I'd say they are so much better a value, and are probably better built than the Brooklyn oldies by far. And I'll say it: a Tennessee Rose in great shape going from $1200 is not uncommon, and it has nearly all the vibe/tone of any G6120/G6122 without the burden of silly market that keeps them pricier. A lot of us also switch out the bridges for Tru-Arc or Compton Compensated, which solve a lot of the buzzing issues and are plenty dense to increase attack and sustain in ways I only imagined. I have two Comptons in stainless steel, and my G6122-1962 totally opened up when I put in the Compton, the original bar bridge's flat angle (fulcrum?) seeming to dull out every picking note to my ears. 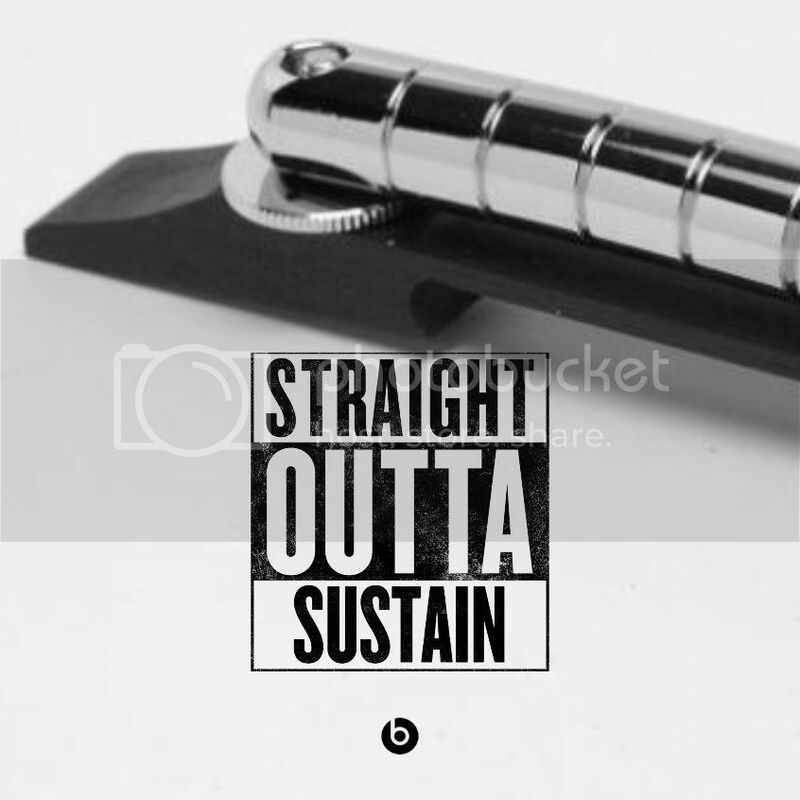 The Compton Compensated Stainless Steel bridge, 2.9" from post to post. 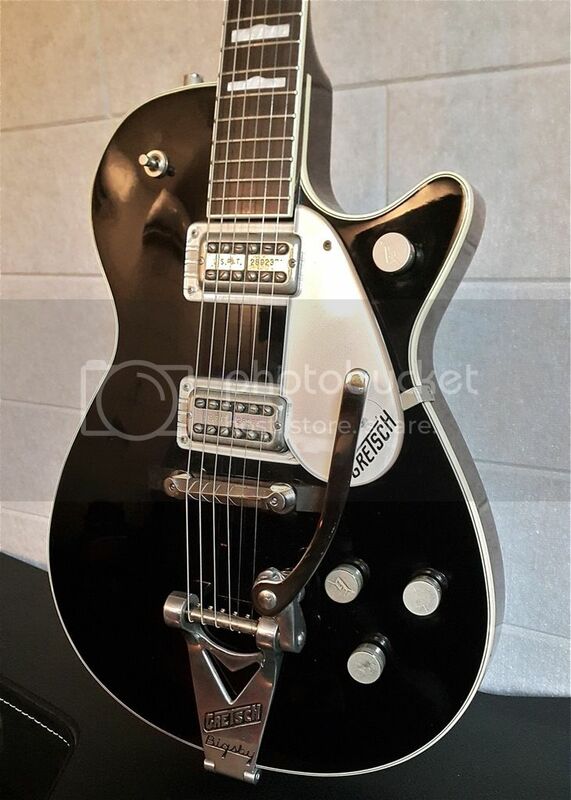 i know i'll end up with a gretsch someday, i just have to wait for the right one to come along. A Duo Jet with good ol' Filtertrons has what it takes to rule the world, even without a midrangey set of Powertrons. Just pin the bridge and plug in, they're lightweight, necks are on the thinner side and quite effortless, and the no-nonsense 'Trons can crunch like mad with all kinds of dynamics on tap. Hope one comes your way to give a spin and suit your fancy in due time. A Duo Jet with good ol' Filtertrons has what it takes to rule the world, even without a midrangey set of Powertrons. Just pin the bridge and plug in, they're lightweight, necks are on the thinner side and quite effortless, and the no-nonsense 'Trons can crunch like mad with all kinds of dynamics on tap. This is 100% correct. Mine has an Adjustomatic bridge and a Bigsby and it is rock solid. You can play anything on it. Reading up on the Baldwin era because of this thread made me realise how little I knew about Gretsch's interim history, interesting reads and pics out there on the late 70s stuff. All I know is that Robert Smith played a Country Gentleman in the mid-90s. Really cool guitar... but I'm often wary of vintage gear that I can't try first.